Nintendo's Download Update for North America has arrived a lot later than normal, but now we know what's landing on your Wii U and 3DS systems this week. There's more GBA goodness on Wii U, new titles on both eShop stores and an NES title on the portable's Virtual Console; on top of that there are some discounts to consider. Let's get to the details. Missed the European Nintendo Download news earlier this week? We've got you covered, just click right here for all of the details. 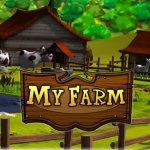 My Exotic Farm (BiP Media, $4.99) — Based on past precedent we'd expect this to be a HD remake of the 3DS title with the same name, making this the second My Farm title to arrive on the Wii U eShop. You job is to start with an empty field and gradually build up your resources and animal stock, caring for them and paying the bills. Previous entries in this series have done little to impress, but we'll muck in and see how this fares. 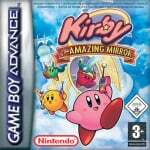 Kirby & The Amazing Mirror (Nintendo, $6.99) — While some may expect any 2D platforming Kirby title to follow a set formula, this GBA entry does experiment a fair amount. There are elements of exploration and backtracking, along with three extra Kirby characters that can be summoned on a cellphone; rather than simply getting from A to B, you're expected to seek out secrets and find hidden exits. The typical Kirby charm is still present and correct, though we were disappointed by some of the formula changes in our Kirby & The Amazing Mirror review. WarioWare, Inc.: Mega Microgame$! (Nintendo, $6.99) — Wario has starred in some excellent 2D action platformers, but some know him as the master of wacky, quick-fire minigames. This GBA entry delivers just that, as you progress through a whole lot of breathless, bonkers minigames for the simple purpose of having fun. We absolutely loved this one's bite-sized insanity in our previous WarioWare, Inc.: Mega Microgame$! review, and will jump in again on Wii U. Governor of Poker (Teyon, $4.99 / $4.99CAD) — This is the latest download from the prolific Teyon, and a port of a previous release on PC, Mac, Facebook, Android and iOS. As the title suggests you play and win in poker matches while working through the challenge of using winnings to buy resources and, eventually, towns in order to take over Texas. We'll see what hand it deals us in our upcoming review. Atlantic Quest (Maximum Games, $4.99) — Available from 15th April, this appears to be a match-3 puzzle title with a variety of underwater locations; 120 levels and some mini-games are promised in terms of content. We'll head under the sea and let you know what we think. 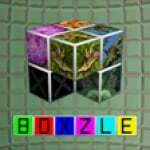 Boxzle (PouncingKitten Games, $2.99 / $2.99CAD) — More puzzle action for the 3DS, though this one incorporates sliding tile puzzles with three-dimension shapes; it sounds interesting, and apparently includes 120 puzzles. We'll get to work on a review. 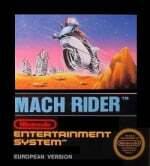 Mach Rider (Nintendo, $4.99 / $4.99CAD) — This is a high-speed NES racer in which you have to save the world by riding exceptionally quickly while bashing into enemies; it's set in 2112, so realism is hardly an issue. While it does include three modes, a track creator and a decent sense of speed, we felt this was a rather bland experience in our Wii Virtual Console Mach Rider review. We'll head back onto the track for a fresh look. That's the Nintendo Download lineup for this week. Let us know what you're planning to pick up in the poll and comments below. One more week until Mario 3! After reading the Chain Blaster review (again), I saw in the comments I would definitely buy this game down the road. I guess that time is now. Oh, and to confirm some US prices since they're missing, Mach Rider is US$4.99, and Conception II is US$39.99. mach rider, kirby, and warioware for me! Get Chain Blaster if you haven't yet. That's a great deal. So I guess Nintendo's tactic is distract us with GBA games so we forget about SMB3. Really classy Nintendo. @SKYW4LK3R Yes. Don't miss it! Warioware and Advance Wars are Game Boy Advance quintessence. I'll have to play Chain Blaster demo again. @Tasuki - Patience, my friend. SMB3 has been announced as being released next week on the 17th. why was this so late compared to usual? SMB3 is next week. why would we forget about it? it has been announced that SMB3 will be the 17th for almost a month now. I'll get Ducktails at that price for sure. @brewsky face it mario3 is NEVER coming to 3DS VC, so where did you here about it coming out on april 17? @xj0462 I truly hope you're being sarcastic. Odd they didn't mention Disney Magical World which comes out tomorrow. @xj0462 Nintendo said themselves Mario 3 is coming April 17. It was on Nintendo Life, among every other Nintendo website you an find. Reading is fun! definitely getting the Kirby game for sure! Is Disney Magical World not being released digitally through the 3DS eShop? Yes, or at least it said so on the eShop. Retail/Download. @Axed84 Yes, it is, but it has been strangely omitted from this list. I think the reason this was late today was because they never got the eShop releases so they had to wait for the update and then check the US eShop for the listings. And they happened to miss this one. @brandonbwii Thanks! I thought that was the case, but I found it strange that it wasn't listed in this week's press release. @brewsky No, it's not listed on Nintendo's press site either (http://press.nintendo.com). Weird! @Axed84 - you should be able to start downloading it at midnight tonight. strange that it's not in the Nintendo Download press release. People pining for Mario 3 crack me up. I, like everyone else in the world, own Mario 3 on like 4 different systems. I do not need a 5th version. I don't know how much extra effort it would require on Nintendo/M2's part (though M2 are the unquestioned champions of going the extra mile when porting classics), but with the Wii U GamePad's built-in gyroscope, I'm really hoping we'll see a Virtual Console release of WarioWare Twisted! someday. For me, it's neck-and-neck with the original WarioWare game for best entry in the series. GBA games aren't on 3DS yet? Nothing for me this week. I can't buy this WarioWare for my WiiU. All I'd be able to think about is how much I'd rather play Mega Party Games. @gatorboi352 And I do not have four versions of Mario 3. I want a portable version of the game. Stop talking for everyone else. @andreoni79 Cool I bought Advance Wars last week and I think I'll pick WarioWare today, can't wait for Super Mario 3 next week! Still chewing on Advance Wars from last week. That will probably carry me until SMB3 and Golden Sun drops next week, and then Yoshi Island plus NES Remix 2 drops the week after that. So far, this has been the best release month I've seen for Nintendo since i bought my WiiU. I hope they have plans to keep this momentum going. @Tasuki Depends whether the reason is that it has been fixed or not. (The PAL version is pretty poor the controls certainly have a degree of lag in them). Find it hard to believe it has always been like that. (The Super Famicom version of All Stars certainly doesn't have that problem). Never played a 60hz version on an actual NES though. @brewsky I'm talking about everyone who has been chastising Nintendo every week it isn't released. Like the Virtual Console is some how unjustifiable until Mario 3 is present on it. @gatorboi352 That I understand. I was disappointed when Mario 3 did not make it to the VC by the end of 2013 like was promised, and was hurt a little more that Europe got it (and a promotion, to boot! ), but to say things like "I'm not buying anything until Mario 3 comes out," is completely asinine. @DestinyMan I just bought the GBA version of Twisted and I like it best (At least at the moment anyway). Still think they should have used the Gamecube version of the first one and made it support Wiimotes. (Or ideally give Twisted the same treatment). They don't seem to go for effort these days however. It's great...you will not be disappointed. My thoughts exactly. I guess they want the ability to play on the tablet. Definitely getting both GBA games. For those of you who don't already have Ducktales Remastered, this is the perfect opportunity. I got it at launch for double the discounted price and it was definitely worth every penny. Why list Canadian prices separately, when they are identical to the US prices? @brewsky Europe is different the only way to get a 60hz NES version was to import until this was released. (All Stars was speed optimised a bit but not made full screen). Japanese stuff is not bad to import but USA stuff ends up over the threshold so with import duty the price ends up doubled. (And unreasonable). I'm goin for Zombie City! when was the last time Nintendo released a new game? seems like their focused on bringing old games to the wii u. just an expensive emulator it seems. I'll be waiting 'til next week and getting both versions of Super Mario Bros. 3. Good week for content though. @gatorboi352 I think it's people who never got past world 8 on the NES, SNES or Wii who need to play it with restore points! Anyone else a bit annoyed by the enormity of the GBA downloads? Advance Wars took 100MB for a game that was released on a 4MB cartridge. Mmhhh, I think I'll pass. WarioWare was good, but not Non-Portable good. @SunnyShores Well last week, we got a new baseball game with a fremium model. Weeks before that we got a new Donkey Kong Country game. A new Kirby is on the way May 2nd, with a new Mario Kart on May 30th, Tomodachi Life June 6th, and Smash Bros. coming to 3DS sometime during the summer. I'm sure there's stuff I'm missing too. So it's much more than an expensive "emulator." I probably wont be getting anything soon, except for MK, Child of Light, and Shovel Knight. getting Kirby and Warioware . ducktales at half price is a must buy for everyone who like platform games. I've been waiting for Governor of Poker. The game description had me really excited. Let's see if the real thing keeps things that way. @SunnyShores There's also Child of Light, Shovel Knight, A World of Keflings, The Fall, NES Remix 2, and a lot more on the way. I like to look at all the content that's on the way too, along with what's currently out there. What I've learned from Wii U, when it comes to new consoles there will always be times where you'll have to be patient if you want games for it. But with your tone, it sounds like you wouldn't be interested in any new content all because it looks too similar to you. And that's okay too, but don't complain later that there's "nothing" for Wii U, even though there's plenty and then some. Though I do apologize for my previous comment, realized I accidentally blurted out a few 3DS titles because you asked "when was the last time Nintendo released a new game?" So I simply was telling you that they've got plenty of new games. Chain Blaster. I think $3 is the right price point for me to try it out. And if you don't own DuckTales already, get it! @Joshers744 Yep but the NES version - changes break the collision detection and mess up the pace. Ah, ok. I'm in Canada too and never noticed a price difference on the VC titles. I never look at the other downloads though, so I wasn't aware that those are occasionally different. Can you use the gyroscope in the Wii-U gamepad when playing Wario? I haven't seen this verified anywhere yet. @SunnyShores sell your Wii U! No reason to keep something you don't use... Right? Someone else may make better use of it. Well I was hoping that developer MSL would also have their games on sale this week like they did in EU but Escape from Zombie city looks good at $2. Chain Blaster is an instant by at that price. I will try the rest of G-Styles demos to see if are anymore gems by them. Awesome week for sales. Pretty good week; getting The GBA games of Kirby and MAYBE Wario once the review is up. Super Mario Bros. 3 for me next week. Although, I wish Nintendo would release the virtual console games from systems alongside GBA. 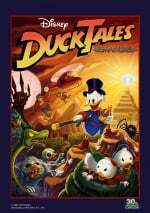 Ducktales: Remastered for $7.49 is a steal, I urge anybody who was on the fence about it to just pick it up if you enjoyed the original or just like good platformers. Even at $15, I never regretted downloading the game! As far as what I am downloading this week, probably nothing until SMB 3, Yoshi's Island (GBA), and NES Remix 2 over the next couple weeks. I just did the Target buy 2 get 1 free sale, got Bravely Default, Prof. Layton & the Azran Legacy, and Yoshi's New Island, so I have been showing my 3DS some love. Only owning a 3DS, there is absolutely nothing here for me. Well at least next week is SMB3. I just sold my PS3 and Vita. I bought a 2DS and I am going to buy a Legend of Zelda Wii U. I couldn't find good games on Sony, unless, I wanted to hear/seeing swearing, gore, and sexually explicit stuff. These game are the kind of games I missed. @BaffleBlend I think it's the emulator. SNES games aren't as bad. If I had the eShop money, Kirby. I guess there's no hope of SENRAN KAGURA Burst ever getting a discount...or Harmo Knight? I don't see nothing for me. I'll just wait for Mario 3. @SunnyShores There is only so much that one company (Nintendo) can produce at once, and Nintendo has no control over the abandonment of the console by the major 3rd party developers. That said, there are currently over 100 titles listed on Wikipedia currently with a drop date of 2014 or a specific quarter of 2014 listed for North America. That is not counting any Virtual Console stuff that will be released. That is also ignoring the over 150 titles already released. So, is the Wii U hurting for over-hyped and over-marketed mainstream "AAA" Titles? Yes. But it isn't hurting for games if you are looking. I'll get Kirby eventually and probably double dip on WarioWare, one of my all-time favourite games. But for now, nothing. yeah they are, yer just looking too hard. Sweet, more shovelware for the 3ds while Wii U gets all the goods. On the plus side I'm not spending any money this week. Nothing listed here. I'll more than likely be downloading Disney Magical World this weekend. Chain Blaster's also a great deal for anyone who doesn't have it yet; I highly recommend it. @Gerbwmu Do it! Its a good game, I also got this the last time it was on sale. While I agree that all virtual console games should be released in all territories, I think North America would have to experience a massive cultural sea change before we'd ever see a game like Devil World. Lest we forget: we are the continent with people who are STILL protesting Harry Potter! Sure Devil World is incredibly obscure and only a couple of video game historians would ever buy it, but can you imagine the backlash for this one? Some crank would find it and be like, "Bibles?! A guy who points up and down in his underwear?!? BURN IT TO THE GROUND!" So...yeah. How 'bout that there Mach Rider, eh? @World: Yeah, I figure the chances of Devil coming over here are very slim:/ Mach Rider is halfways decent though. We still haven't been given Blaster Master for some reason either. EU has had it since 1/13. Any theories behind that one? I want Mario3 and Grinsia.... both on the OMG wait list since only Heavens knows when.... GEESH don't tease us give us what you say you will....DANG IT! Totally missed the fact the G-Style sale doesn't start until later today. I'll get Chain Blaster eventually. @KnightRider666 Well, I thought maybe it was because Sunsoft of America vaporized, but then I read that the European office supposedly closed too! Thus, I've got nothing on this one unfortunately. (Too bad, as I remember reading about how Sunsoft was all set to release all these awesome games I'd personally never played, or played when I was too young to care or remember, on the Virtual Console)!